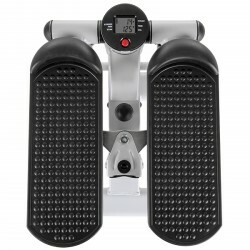 The cardiostrong 2 in 1 stepper is a compact training equipment allowing two different courses of motion. 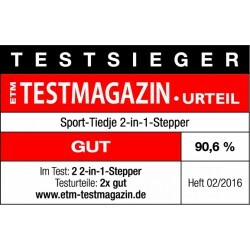 Besides typical up and down motion like stairs climbing, the multi-stepper offers the function of a swing stepper - a slight motion sidewards while stepping. By replugging the metal pin on the equipment, you comfortably switch from one course of motion to the other. Exercise leg and gluteal muscles as well as hip muscles with the cardiostrong 2 in 1 stepper. 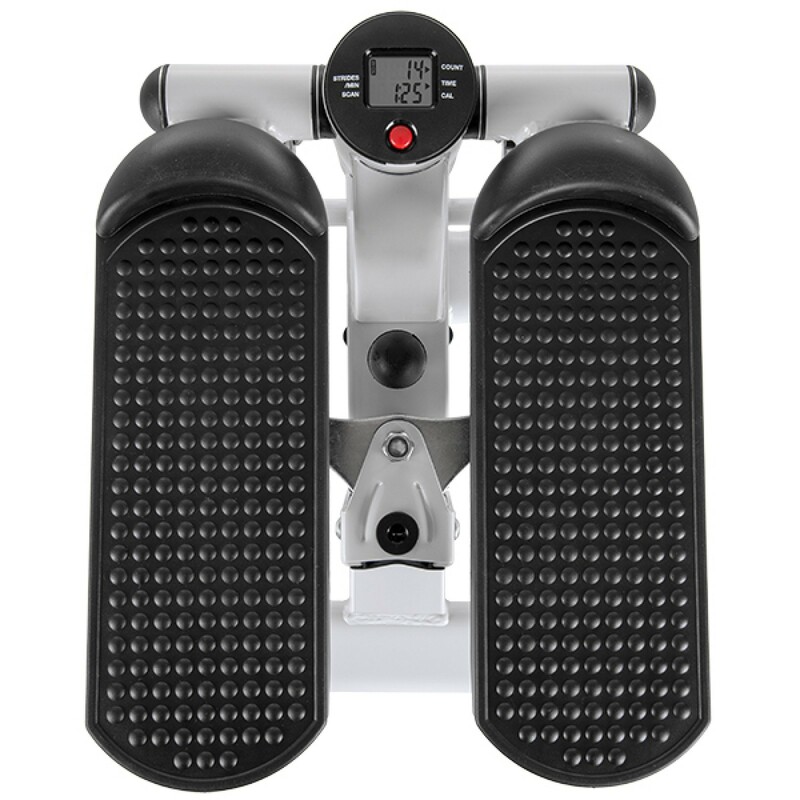 The sturdy metal frame and nonslip treads provide stability and safety while exercising with the cardiostrong 2 in 1 stepper. The training computer displays all important data like calory consumption, workout duration or cadence. Thanks to its compact dimensions, the stepper can be stored in a space-saving way after the workout.